Not only has 2016 been an eventful year in the world; it’s been a pretty busy year at the Science Council too. 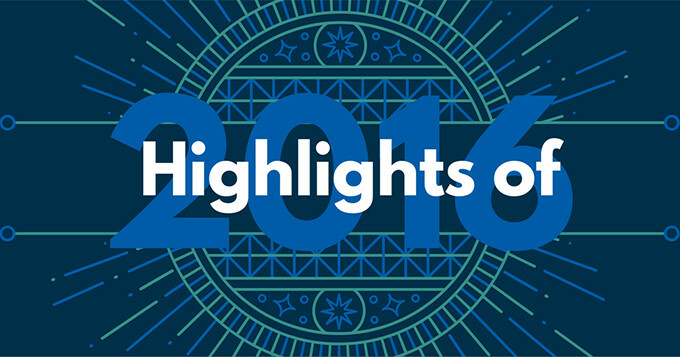 Read on to find out some of our team’s highlights over the past year, in no particular order. Following the announcement of the EU referendum earlier in the year, in April we hosted the first debate between Britain Stronger In Europe and Vote Leave. The panel debated on the subject ‘UK Science Doesn’t Need the European Union’ and you can read the summary to find out what arguments were made from each campaign. We also hosted a series of guest blogs on our website from voices supporting each of the campaigns in the run up to and following the debate. The result of the EU referendum for Britain to leave the European Union prompted us to hold a Science Summit to identify the risks and opportunities posed by Brexit to Professional Bodies in science. Our expert panel outlined the mechanics of Brexit, potential risks to the public health sector, and what a future immigration policy may look like. The Wakeham Review of STEM Degree Provision and Graduate Employability recommended that the Science Council take a leading role in overseeing the degree accreditation frameworks across science. Our Registrar, Ali Orr, wrote a blog about our work on degree accreditation and how it can contribute to enhancing science graduate employability. In July we welcomed the need for a fundamental shift on technical education which was highlighted by the Sainsbury Panel report on technical education, chaired by Lord David Sainsbury. Read about the opportunities this presents for learners, for employers and for science as a whole. We were delighted to receive news in September that our Registrar, Ali Orr, has been appointed as an employer member on the first ever Teaching Excellence Framework (TEF) panel. This provides a great opportunity for the Science Council to add a voice on behalf of employers to influence teaching in higher education. Our search for a new President was a success and we announced that eminent physicist and Vice-Chancellor of the University of Sheffield, Sir Keith Burnett, will be taking on the role of Science Council President. Find out more about our new President. During the past year we were delighted to award a number of employer organisations with Employer Champion status. These were Affinity Water, Newcastle University, the University of Strathclyde, the Environment Agency’s National Laboratory Service (NLS), the University of Exeter, the Medical Research Council, King’s College London, the John Innes Centre and the University of Manchester. At the first ever Nottingham in Parliament Day we hosted an event to celebrate STEM skills and Nottingham’s scientific heritage. Science employers from across the city showcased the initiatives and innovations that will develop the future STEM workforce. A number of our member organisations and Licensed Professional Bodies have become licensed this year or have increased the number of licences they hold for our registers. The Institute of Physics have gained license to award RSciTech and RSci, the British Society of Soil Science (BSSS) have also gained license to award RSciTech and RSci and BASES now have license to award RSci in addition to CSci. Following our inaugural CPD Awards in 2015, this year we awarded further Registrants at our annual CPD Forum with CPD awards and commendations. These awards celebrate the efforts and achievements of our Registrants and offer them recognition for their broad and diverse range of professional activities. Find out who the well-deserved winners were. We have added Chartered Scientist to our online application system, which means that we can now accept applications for CSci. Apply for CSci and membership of a Professional Body at sciencecouncil.org/register. We were delighted to recently have a letter published in Nature, written in collaboration with the BBSRC. In our letter we have called for better-defined career paths for technical staff in research and higher education. Our shop is the place for you to find items that identify you as a scientist, where all profits go towards our work representing the science profession. Is science morally neutral? This was the panel discussion we were excited to have taken part in on BBC Radio 4’s Moral Maze. Listen to our Chief Executive, Belinda Phipps, as a witness on the Moral Maze where she is quizzed by Claire Fox and Michael Portillo. More recently we launched a Diversity and Inclusion Progression Framework for Professional Bodies in collaboration with the Royal Academy of Engineering. Following a successful launch event attended by professionals in the Professional Body sector for science and engineering, Athene Donald wrote a blog about the importance of having such a framework. While this is not an exhaustive list, you can catch up on all our activities by reading our news articles and blogs. A big thank you from the Science Council team to everyone who has supported us this year to help make our work happen.